Yes, at Hartford Fence Company we do fence installations. And we do fence repair. Fence replacement, too! That’s not how we got to be #1. At Hartford Fence Company, it’s all about you. Since our inception in 2014, our Job #1 has been to put our clients #1. And we’ve made lots of friends along the way. No need to take our word for it. Our clients are right here on this website to tell you their stories – about our craftsmanship, our fair dealing, and how tickled pink they are. So take a look around. We can build you a residential fence or an industrial fence. We can even custom design a fence for you from scratch. Oh and gates, we do those as well, we even have fancy stuff so you can open it from up the road or across the world. When you’re ready, ask for a free quote. There’s no obligation. Ever. Promise. Simple, clean, and elegant. Vinyl is a brilliantly cost effective solution that looks stunning and is as easy to maintain as it is appealing. Fast, cost effective, and virtually maintenance free. All parts are galvanized and protected from the elements to ensure greater longevity. 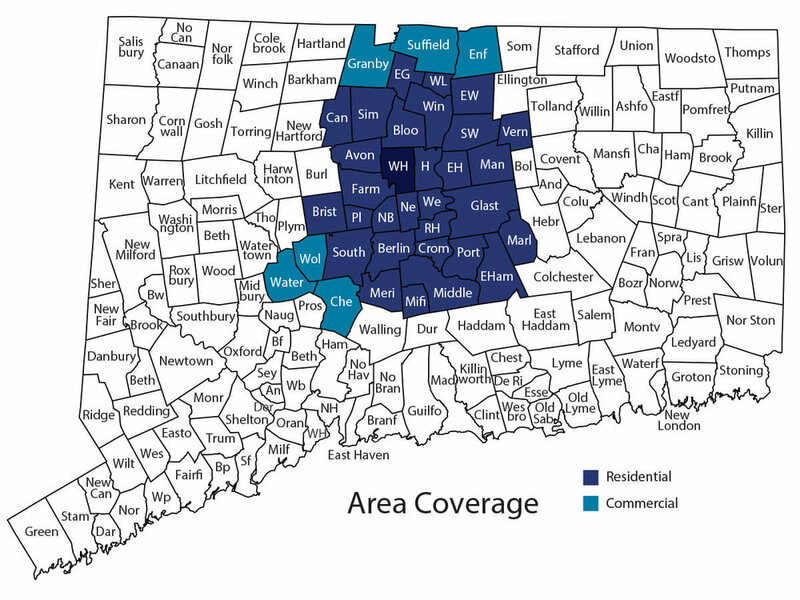 We primarily serve central Connecticut. If you’re outside the highlighted area, give us a call and we’ll see what we can do for you. If for any reason we’re not the one for the job, we’ll get you connected with the right people. What your neighbors say about Hartford Fence. “Come see my fence and gates and you'll know why I'm a believer!!! If you have high expectations, they will exceed them!